Today we had sunny skies and calm winds. The winds were from the north at 8 mph and the temperatures were around 60 degrees. In Avon Bluefish, sea mullet and big red drum were reported. The Buxton beaches had Bluefish and puppy drum caught. Over on the Frisco beach Pompano, Puppy Drum and Bluefish were reported. In Hatteras Pompano and Black Drum were reported. The inshore boats had excellent spanish mackerel and bluefish, some speckled and gray trout were also caught in the Pamlico Sound. The offshore boats had excellent catches of wahoo and blackfin tuna along with some yellowfin tuna. Good trigger fishing was also reported. 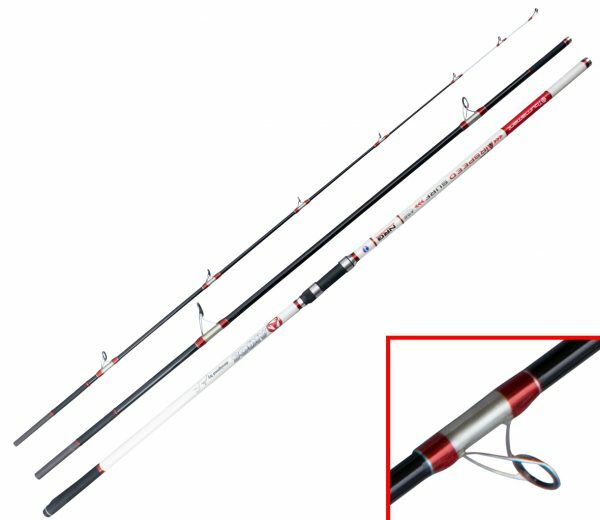 Designed and developed in close collaboration with two times world champion sea angler, Alan Price, the Akios AirSpeed Surf continental rod is a serious piece of kit for serious anglers. This entry was posted in Cape Hatteras Weather, Featured Products, fishing report, Frisco Market, Frisco Rod and Gun, Local News, Uncategorized, What's Biting and tagged AKIOS AIR SPEED RODS, balckfin tuna, bluefish, cape hatteras offshore fishing, costa, Frisco Rod and Gun, puppy drum, red drum, sea mullet, wahoo, woolrich, yellowfin tuna by frgstaff. Bookmark the permalink.